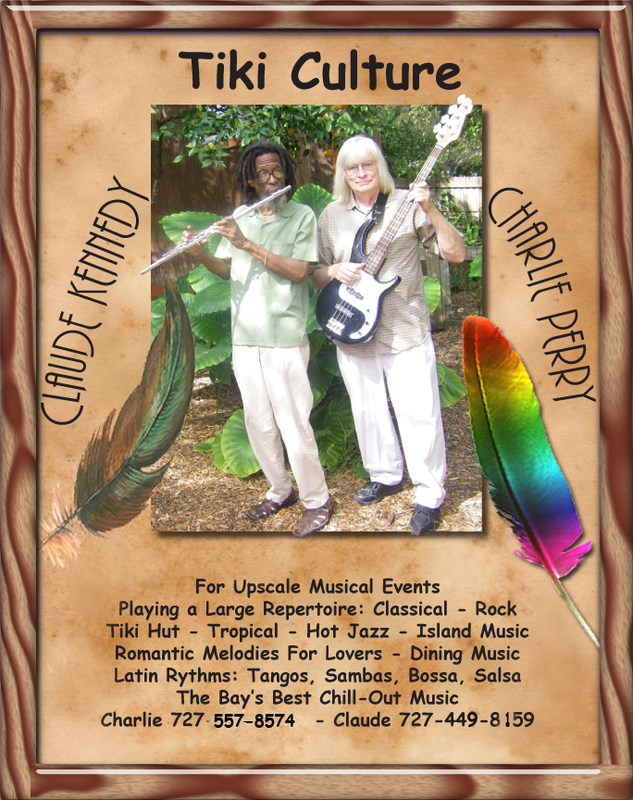 Notice - The Tiki Culture Duo is no longer accepting engagements due to the recent death of Flautist - Composer Claude Kennedy (Master of Arts in Composition USF). His bassist is in the Master of Fine Arts in Music and Sound Design program at San Francisco's Academy of Arts U. Ceramic tile mosaics. Custom art to your specifications. Geometric, pictorial designs on your floors, walls and ceilings. College Level psychology, biology and ethics.